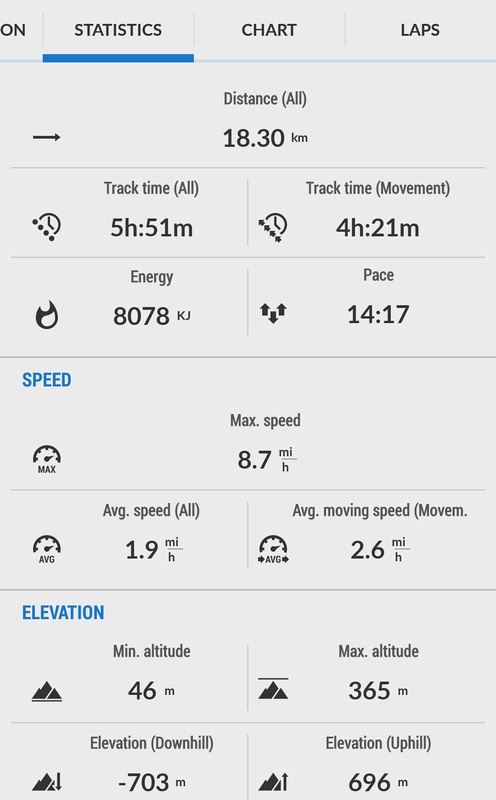 It’s been a while since I’ve been on a decent hike. I’m generally a fair-weather walker – I like to potter about, taking my time and poking at things, and finding quiet spots where I can be passive and observant. The forecast for this particular weekend was fantastic, and Autumn is perhaps my favourite time to go walkabout for many reasons. Classic autumnal colours crown the trees as leaves hasten to a yellow-gold demise, heavy clusters of rowan berries depend on weighted branches, and the first breaths billow forth from rosy cheeks to condense and drift upwards against crisp blue skies. Even better – no midges. 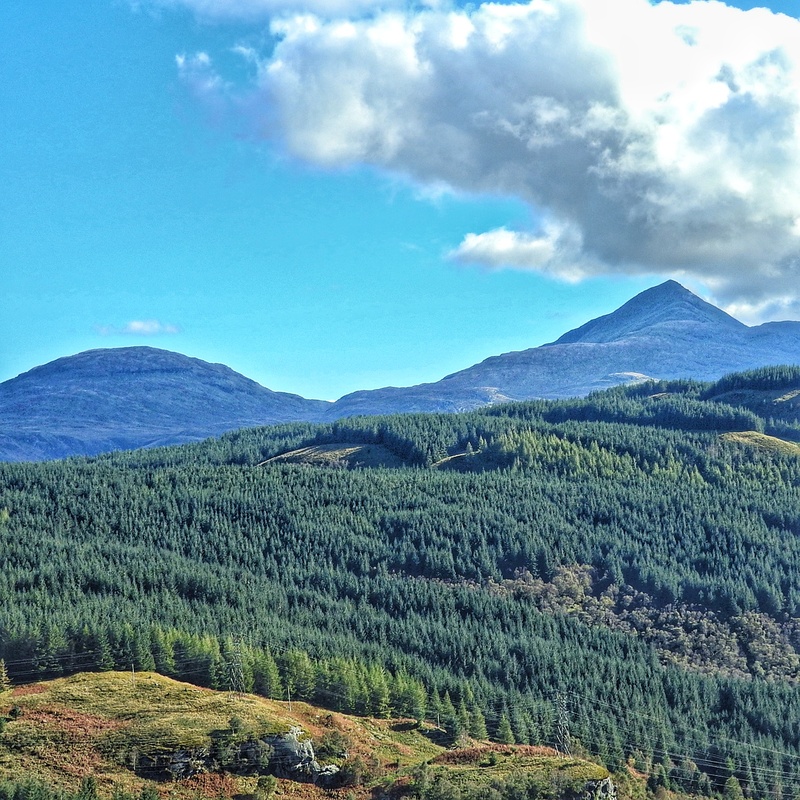 I chose to make the most of the fair weather by walking the Glen Loin Loop, approximately eighteen kilometers of way-marked trail that meanders through forest, glen and hillsides north of Loch Long and the town of Arrochar. 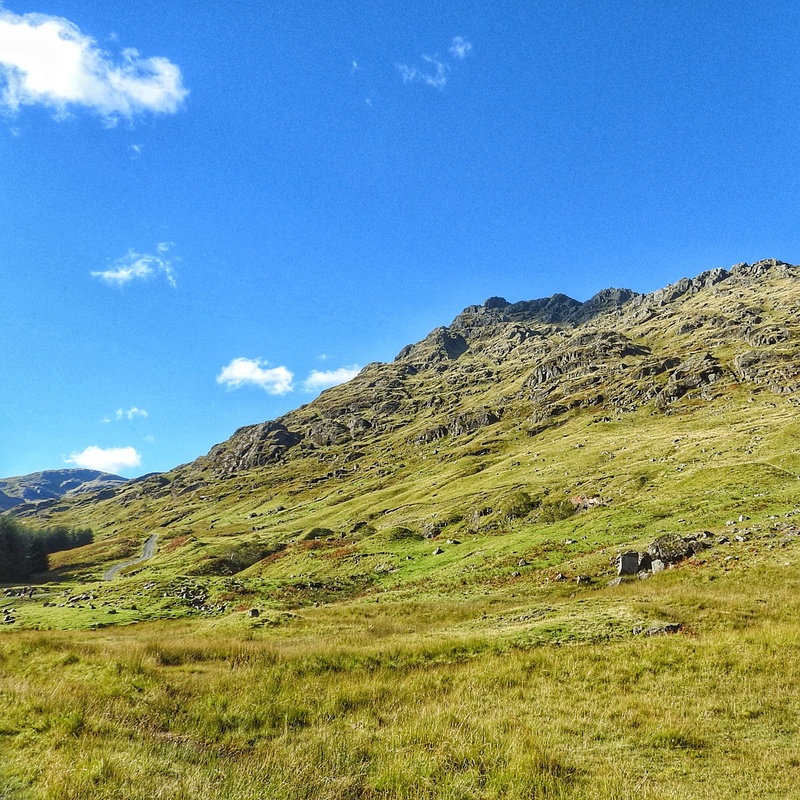 The route passes below some impressive mountains, notably the flanks of the “Arrochar Alps”, but does not contain any epic ascent or descent – total ascent over the whole distance was around 700 meters. For this visit I completed the Loop clockwise, with the first section of the walk through spruce plantations. I’m not a huge fan of plantations – they are generally dark, faunally depauperate and lacking in cheer, but paths through them inevitably lead somewhere interesting. There were deep hollows and fissures scattered between the trees, but nothing big enough to crawl into that I could find during my brief visit. I was more engrossed by the variety of fungus growing amongst the moss and felled dead wood. Emerging from the plantation into more open ground, and as if to compensate for the dark mysteries and damp fruiting bodies of the woods, several charming peacock butterflies were searching the scrub for Autumn nectar hidden in the last of the scabious flowers. 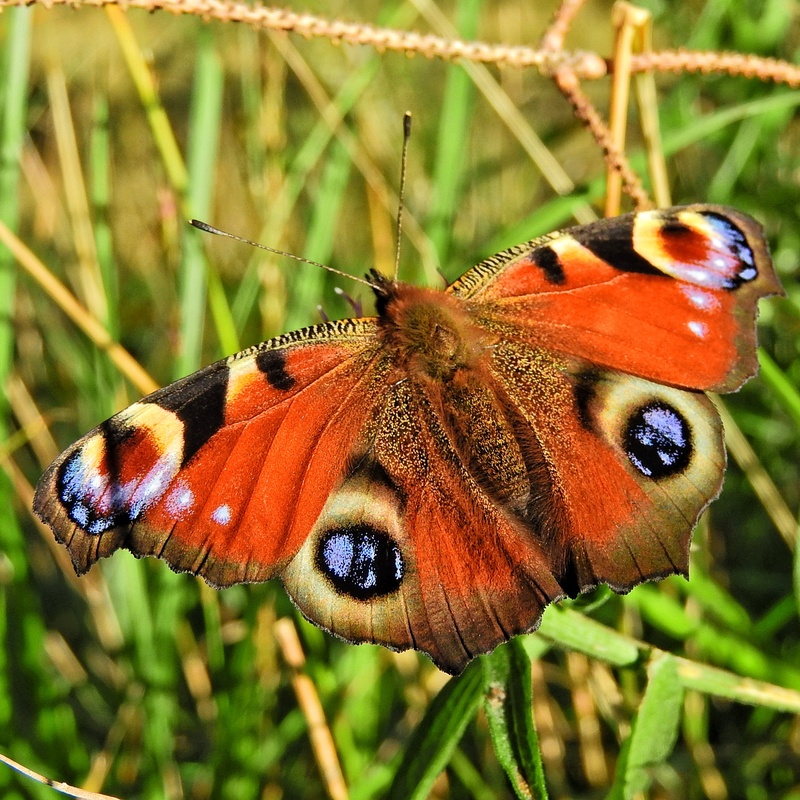 Is there a more colourful and cheerful creature that could cross your path? Continuing onwards I reached the most western part of the loop, opening up excellent views upstream to the saddle between the mountains of Beinn Ime and Beinn Narnain. There is a small dam above a rocky stream bed here, a delightful place to stop for refreshment. Large dragonfly busied themselves all around, but did not linger long enough to be photographed. The path followed the Coiregrogin burn as it flows down into Glen Loin itself, with the flanks of another famous Arrochar mountain – A ‘Chrois – to the south. From here the track wound its way around the base of Ben Vane. This area is so quiet and calm, it feels a million miles away from traffic, buildings and people. For a while I watched a raptor of some kind investigating the crags on the mountainside. It was difficult to get a clear look, and at first I thought perhaps it was a peregrine. 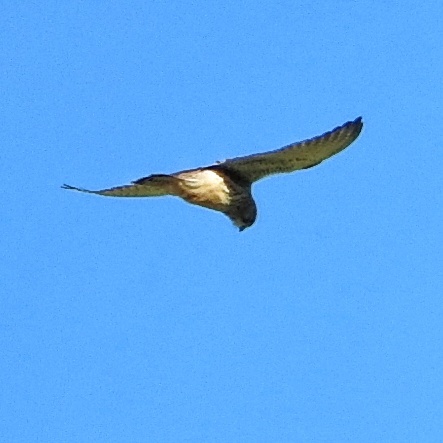 Even though it was soaring rather than hovering, I became convinced it was a kestrel. I really need to be more adept and practice my raptor ID skills! Do you agree? The path began to descend soon but not before offering a wonderful eastern aspect, showing a fine parallax of distant lochs and mountains. I think this is a glimpse of Loch Arklet and the hump of Ben Venue rising on the horizon. The path continued to descend until my way intersected that of The Cowal Way, a long distance walking route that runs almost 60 miles along the length of the Cowal Peninsula from Portavadie on Loch Fyne to Inveruglas on Loch Lomond. It sounds like a fine route, and I have earmarked sections for future wanderings. An enjoyable final section through coppiced hazel trees and big oaks made the last couple of kilometers very enjoyable, and I could look back up the Glen in satisfaction of having woken up the old legs for Autumn!